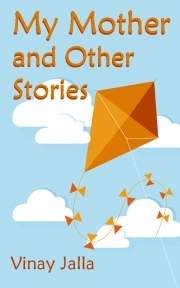 Description of "My Mother and Other Stories"
My Mother and Other Stories is a collection of twelve children’s short stories set in modern India. Filled with moral values, imagination and downright humour, each story beautifully balances the ordinary with the extraordinary. As well as making young readers laugh, these stories also make them think. The stories that make up this wonderful collection are: My Mother, Grandma and the crow, The brown puppy, The scout with a big heart, Pineapple of his eye, Our pot-bellied cook, Star tattoo, Ghosts do not exist, A Lovable ayah, The gift of sight, Dance like me, and The young artist. Vinay Jalla is a creative writer and designer with over 15 years’ experience in print, online and broadcast media. India and in the UK. Reviews of "My Mother and Other Stories"